The Citgo sign is illuminated as the sun goes down in Boston. With the lease for the sign expiring in February, the two sides had tried but failed to strike new terms to keep it on the Beacon Street building where it has stood in its current form since the 1960s. But earlier this week Boston Mayor Martin J. Walsh intervened and brought the parties together in a marathon bargaining session that produced the deal. The accord ensures that neither Citgo nor an out-of-town real estate company will take the blame for the fall of a cherished landmark. Citgo had previously countered with an offer to pay $500,000, and had launched a public campaign to rally support behind the sign. It also became a sponsor of the Boston Marathon. The two sides remained far apart, but agreed to extend the lease an additional month, to March 31. That put the new deadline just days before the sign would again feature as a backdrop to two of Boston’s most popular sporting experiences: home games at Fenway Park and the Boston Marathon. Walsh met with both sides Tuesday and offered them space at City Hall to work on the deal. The mayor “put us in a room and said we weren’t leaving until there’s a deal,” said one person close to the negotiations who was not authorized to speak publicly. The agreement was reached after about 11 hours of meetings over the last two days, this person said, including daylong talks Tuesday during the snowstorm that virtually shut down the city. It was not immediately clear how the deal would affect efforts to officially designate the sign as a landmark, which would give it more protection from being demolished or moved. The Boston Landmarks Commission is considering the matter; any landmark designation would need to be approved by Walsh as well. Wednesday’s agreement was welcome news to Greg Galer, executive director of the Boston Preservation Alliance, whose group has collected more than 16,000 signatures on an online petition to save the sign. 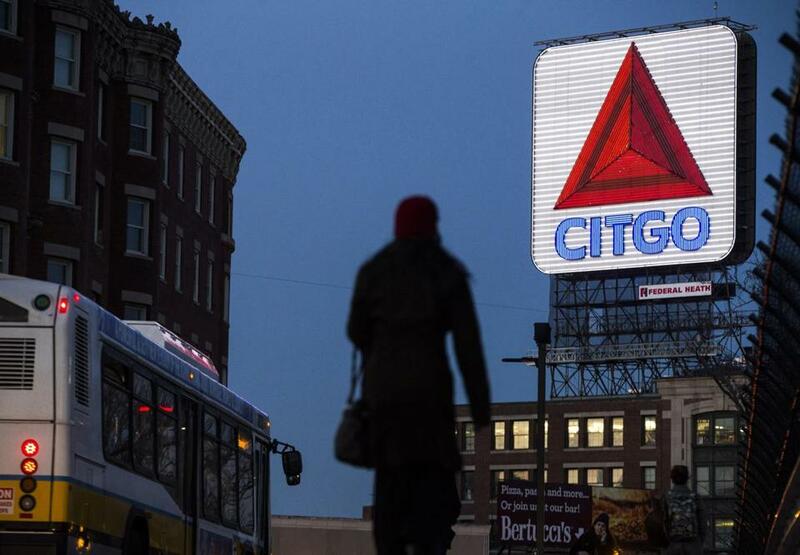 For Citgo, the sign is a legacy of a different age, long before the company became a subsidiary of Petróleos de Venezuela SA, the national oil company of Venezuela. The company has relatively few gas stations in Greater Boston and took down its other large outdoor signs decades ago. The sharp drop in the price of oil in 2014 and Venezuela’s subsequent economic and political crises have weakened Petróleos de Venezuela. The sign remains, in part, because of the uproar that arose in the early 1980s when the company moved to take it down, a Citgo spokeswoman said earlier this year. Daniel Bluestone, an architecture history professor at Boston University who had also lobbied for landmark status, hailed the deal to keep it in Kenmore Square. 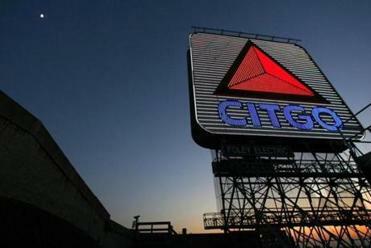 Even so, Bluestone said the sign deserves an official landmark designation because Related Beal is planning a large redevelopment of the block of buildings, which he said could affect the Citgo sign’s visibility and prominence. Shirley Leung of the Globe staff contributed to this report. Adam Vaccaro can be reached at adam.vaccaro@globe.com. Tim Logan can be reached at timothy.logan@globe.com.